This deck looks sweet but 27 lands feels like a few too many so think like cutting 1 Drowned Catacomb and 1 Dragonskull Summit for 2 more Dreadhorde Invasion would be a good call. But either way awesome deck! Maybe a few more dual lands like Akoum Refuge , Bloodfell Caves , Dragonskull Summit or Foreboding Ruins ? 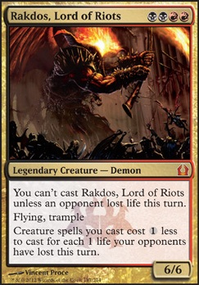 Besides that, this looks like a mean but fun deck (in a good way). Good job! As with any eldrazi deck: I would recommend All Is Dust . 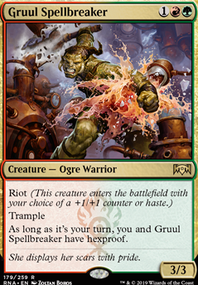 Great board wipe for everything except your creatures, and it can't be prevented via indestructible or hexproof. 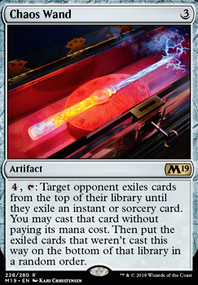 Personally, I see Leyline of the Void as more of a sideboard card that should only be put in the game if you need some graveyard hate. 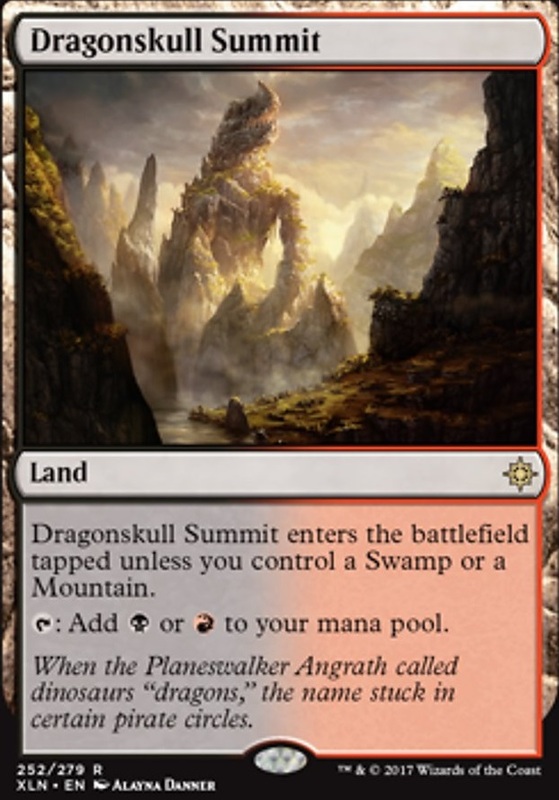 I would also recommend some dual lands for you, like Steam Vents , Watery Grave and Blood Crypt as well as, Dragonskull Summit , Sulfur Falls and Drowned Catacomb (just chose a few of them, don't put all of them in your deck}. That's all that I can think of at the moment. Hope this helps! eliakimras on EDH Land Destruction: No Lands for You! Some cheap lands I suggest instead of Vivid Crag , Vivid Grove , Darigaaz's Caldera and some basic lands: Blighted Woodland and Myriad Landscape ramp you. Bojuka Bog hoses graveyard players. Golgari Rot Farm , Gruul Turf , Rakdos Carnarium and Jund Panorama give you more land-drops. Sheltered Thicket and Canyon Slough can be easily fetched or brought back from the graveyard after cycled. Cinder Glade and Smoldering Marsh are also fetchable. 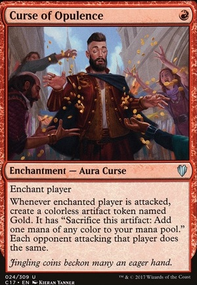 When Standard rotates, Dragonskull Summit , Rootbound Crag , Woodland Cemetery , Blood Crypt , Stomping Ground and Overgrown Tomb will be way cheaper. Love the jund midrange list! +1! However, this list is missing a few main pieces. 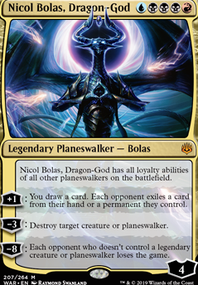 To start, Circuitous Route , Darigaaz Reincarnated , Electrodominance , and Awaken the Erstwhile all pull the rest of the deck away from where I think it wants to be, with a number of efficient threats and removal. The landbase is a little weird, mainly for the gates for C-Route, but I'd drop all of them, 1x Swamp and 2x Mountain for 4x Rootbound Crag , 4x Dragonskull Summit , and 1x 2x Woodland Cemetery . This puts us one over, at 23 lands, which is where I think the deck wants to be. Otherwise, dropping Darigaaz Reincarnated s and Electrodominance s entirely, slotting in the last of the lands and a pair of Lava Coil , a 1 of Cast Down , and a Assassin's Trophy , dropping some Gruul Beastmaster s and Circuitous Route s for Llanowar Elves and more Bedevil s, and I think this would be amazing! 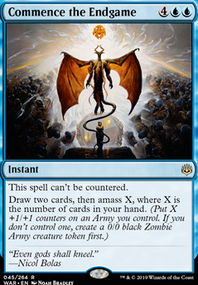 modern is a pretty brutal format where decks need to aim for a turn 4 win, or pack a ton of interaction to stop their opponent. a cmc of 5+ is generally considered really expensive. Firedrinker Satyr will just deal a ton of damage to you. the biggest upgrade though is your lands. Bloodstained Mire , Blood Crypt , and Dragonskull Summit will ensure you always have the color of mana you need.